· Update of on-premises and Office 365 Sharing Policies to allow maximum sharing between both parts of the Hybrid Exchanged organization. 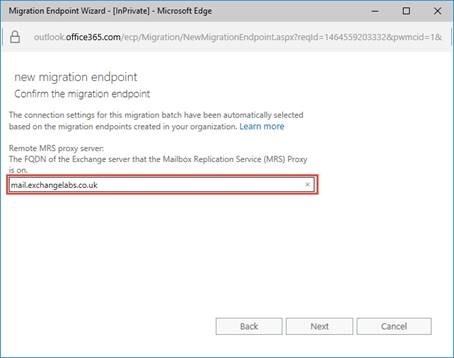 · Creation of a Migration Endpoint to allow moves of mailboxes to and from Office 365. · Update of mailbox email addresses that do not use Email Address Policies. · Configure and enable Public Folder co-existence. 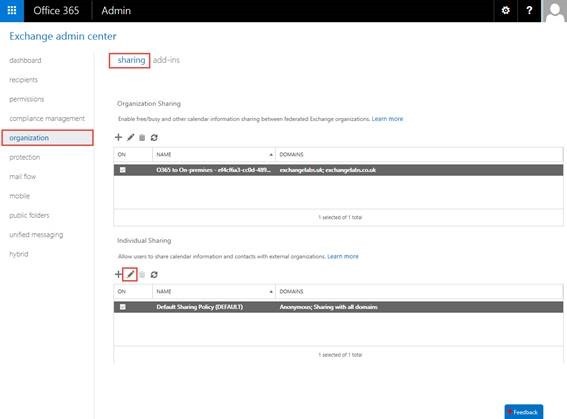 · Copy and configure on-premises policies in Office 365. We’ll configure the first four of these areas during this part of the series and continue to configure policies in the next part of the series. Sharing policies are used to define the limits for Calendar and Contact sharing. 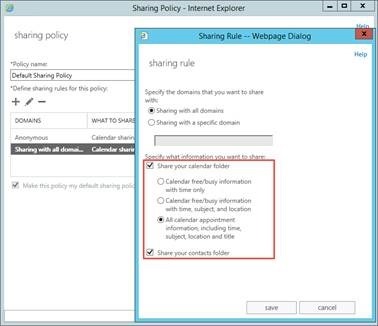 By default the policies set up do not allow Exchange sharing using the native Federated Sharing features. To allow native Calendar and Contact sharing between all users, it is necessary to alter the default policies, or create new policies. 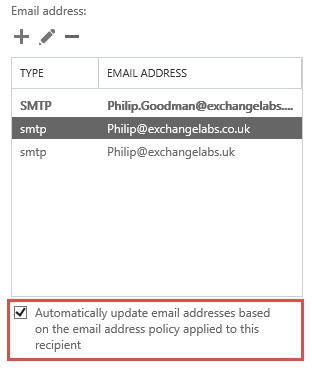 To allow sharing between all users in Office 365 and Exchange on-premises (and vice-versa) we will update the default sharing policies both on-premises and in Office 365. The Sharing Policy will open. 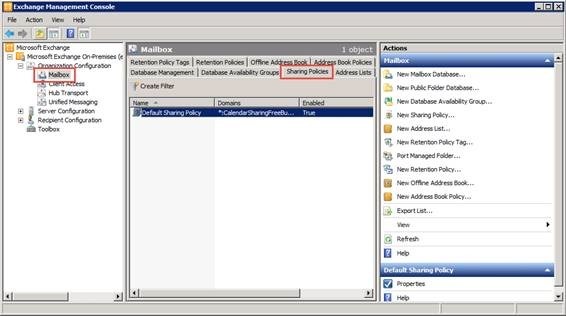 Edit the Sharing with all domains rule (or * rule in Exchange 2010) to allow both the Calendar and Contact calendar to be shared. 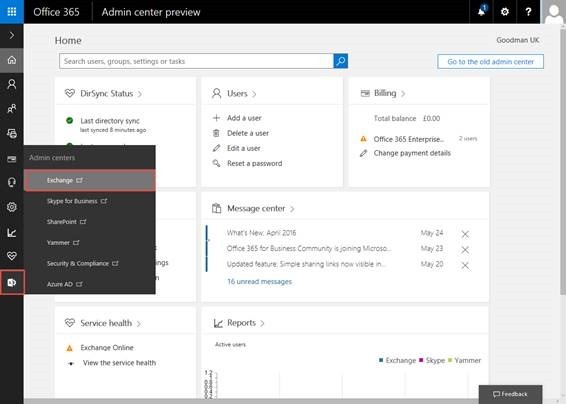 Typically organizations will want to allow All calendar appointment information to be shared between on-premises and Office 365. After making the changes, choose Save. After this change is complete, users will be able to re-share their calendars between cloud and on-premises. Remember that this is only read-only access, and users who are migrated will need to re-share their calendar if the person they collaborate with is not also moved to Office 365. 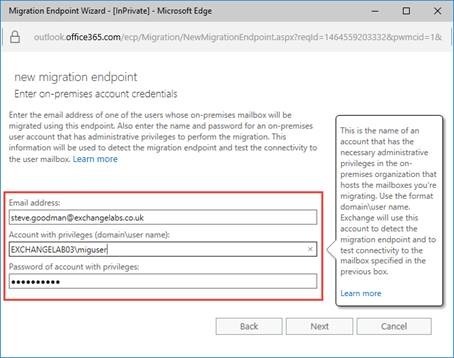 Without a Migration Endpoint it is not possible to move mailboxes to and from Office 365 using the Exchange Admin Center. Instead the New-MoveRequest cmdlets are required. 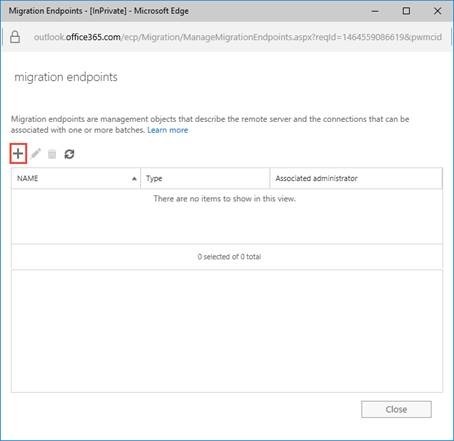 A migration endpoint allows a definition to be created in Office 365 that includes the on-premises Hybrid server name and a stored set of credentials that can be used to perform the move. This makes it easy to allow multiple administrators to perform migrations without knowing the on-premises migration account password. First we will create the account that will be used with the Migration Endpoint. Note that you can use an Exchange administrative account, but it is best practice to create an account possessing the minimum permissions required. 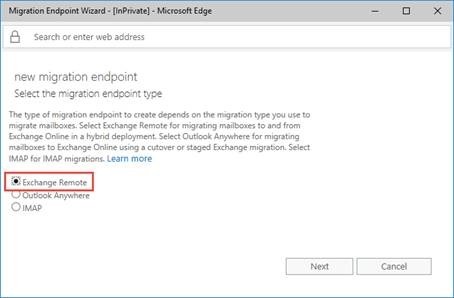 After the New Migration Endpoint Wizard launches three options are shown; Exchange Remote, Outlook Anywhere and IMAP. For Hybrid configurations, Exchange Remote will always be used, so select it from the list, then press Next. The Migration Endpoint Wizard will use Autodiscover to lookup the Migration Endpoint address. Enter both the email address to use for Autodiscover and then enter the account created in the previous steps as the Account with privileges. 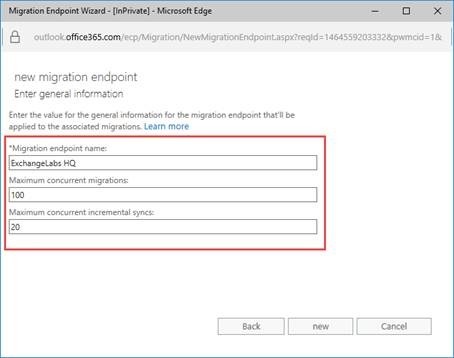 Depending on your external URL configuration for other services like Outlook Anywhere, the Migration Endpoint name may be automatically populated. If it is not, then the Confirm the Migration Endpoint step of the wizard allows the opportunity to enter a server name. 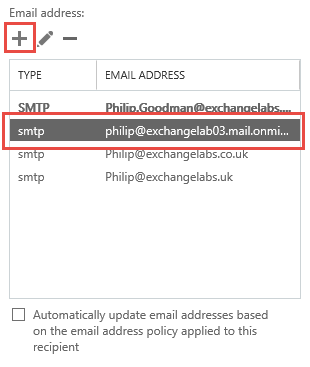 As part of the Hybrid Configuration Wizard, Email Address Policies are updated to include an additional address which will be used for co-existence. Each mailbox that will be migrated needs this address added, which is in the form of <alias>@<tenantname>.mail.onmicrosoft.com. Mailboxes that do not automatically update email addresses based on the email address policy will not have this additional addresses added. If you are using Public Folders on-premises, and plan to either maintain access to Public Folders during Hybrid Co-existence; or migrate Public Folders to Office 365 from a legacy version of Exchange then you will want to configure access from Office 365 to on-premises. Providing access to clients is relatively straightforward. To ensure that mail-enabled Public Folders are listed in the Office 365 Global Address List and / or can be sent email from Office 365 mailboxes you should use Microsoft-provided script to create equivalent contact records in your Office 365 tenant. After downloading the Sync-MailPublicFolders.ps1 and associated strings file to the same directory, execute the following commands to sync Public Folders. 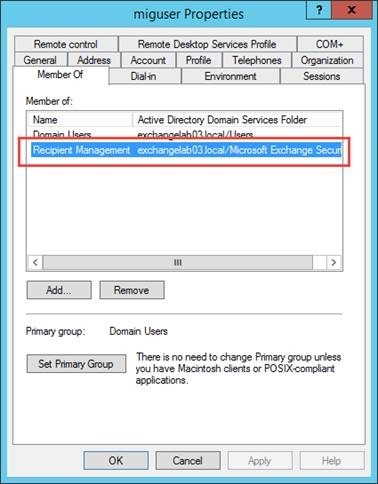 Note that this will delete any Public Folders in your existing tenant, so read the document for Exchange 2010 or 2013/2016 first. 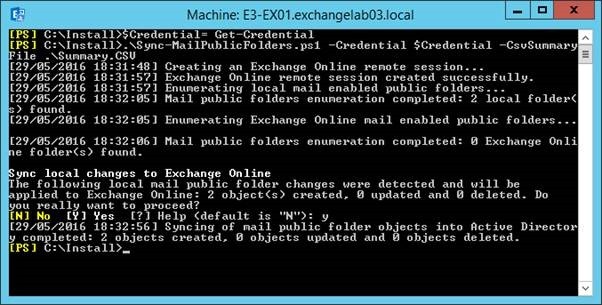 For a pure Exchange 2013 or 2016 environment then navigate to Public Folders and make a note of all Public Folder mailboxes. 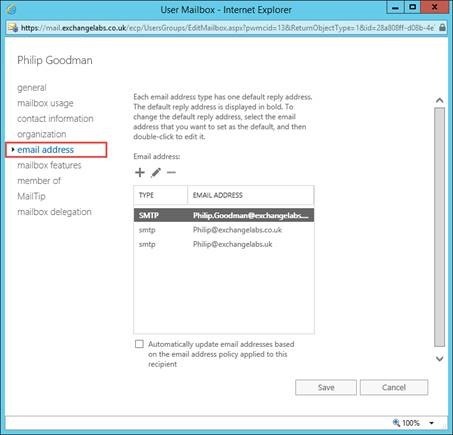 For Exchange 2010, you’ll need to follow a couple of more steps to create accounts, and potentially install additional server role. In this part of the series, we’ve performed a number of post configuration steps to enable functionality required for most organizations for Exchange Hybrid. In the penultimate part of this series, we’ll configure policies and then begin performing some core service tests.